If your HVAC unit is emitting a nasty smell or is making strange noises it is not only annoying but also a sign that all is not well. If you have failed to identify the cause of the problem, contact our team. Trained technicians will locate and make any necessary repairs, as well as clean your unit and its air ducts. HVAC unit problems can occur with no warning. When this happens, you may notice a foul smell, hear strange noises or notice a downturn in your unit’s heating or cooling abilities. Whatever the case, you will become aware of the issue quite quickly. Our team is experienced in how and what to check for. Perhaps you have a problem with a processor or filter; it could even be a result of a number of other issues. Whatever the cause, it’s vital to know what you are looking for in order to arrange professional repairs. You have probably heard of the saying ‘closing the stable door after the horse has bolted’ and the same sentiments are true when dealing with HVAC unit problems. It is better to locate and repair an issue with your unit when it occurs, rather than waiting for it to escalate. The best way to avoid these issues occurring is to carry out regular maintenance checks and HVAC unit cleaning. These can prevent problems and make sure that the air you breathe is fresh and safe. Early detection can save costly repairs and go towards energy efficiency. Bad smells can be an indication that your HVAC unit filters may need replacing. The filters are responsible for trapping all sorts of pollutants in order to prevent them from circulating around your home. Over time, these filters become less effective or clogged which results in your unit needing to work harder and longer. When this happens, they will need to be professionally replaced. Keep the inside of your property healthy, safe, and fresh. 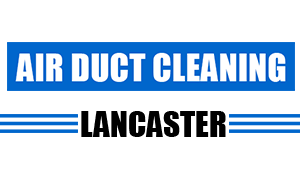 Get in touch with Air Duct Cleaning Lancaster to arrange HVAC unit cleaning.